Our company offers for your choice different barrels and tankages for filling and keeping oil products, goods of paint and coating industry, different chemicals, with active or non-active influence on steal. 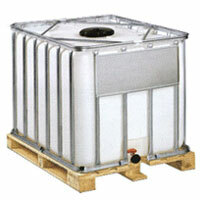 All packages are of European production, previously used after washing and special cleaning. All packages we offer are checked by us for leak-tightness and have a certificate about cleaning quality. Prices for this packages are significantly lower, then for new ones, meanwhile the initial European quality is fully kept. In case you have questions or want to find out about availability of the packages at stock, please contact our managers on the phones shown in contacts. 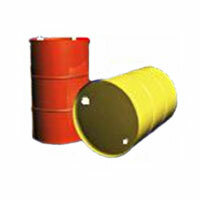 This barrel is used for transportation and storage of food, paints and coatings, oil products, chemicals and some other products, which act on steel. Curving of metal necks G-2" и G-3/4"
Inner surface of the barrel has a special cover, which prevents interaction between the content and steal, of which the barrel is made. 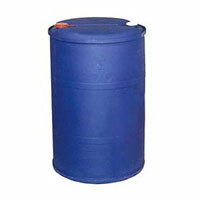 This barrel is used for transportation and storage of liquid oil and food products, chemicals and other goods, which temperature is not more than +80C. Plastic containers are used for transportation and storage of liquid products and substances, which do not act on plastic of low pressure and high density. Main areas of this package usage are chemical and oil chemical industry, metallurgy, paint and coatings industry and food industry. Quality and technical features of plastic containers are in accordance with requirements of Russian standards (GOSTs) and recommendation of the UN organization regarding transportation and storage of dangerous goods categories II and III.